Last year, in London, I have seen, a superb retrospective of Bhupen Khakar the Indian painter who died in 2003. I was fascinated with his biography of a modest art professor living in Baroda, visting friends, walking aroud the city, feeding a gigantic alligator kept captive by one of his fellows. I was also very intrigued by his paintings, at once naif and highly sophisticated, that blur the boundaries between intimacy and public life. 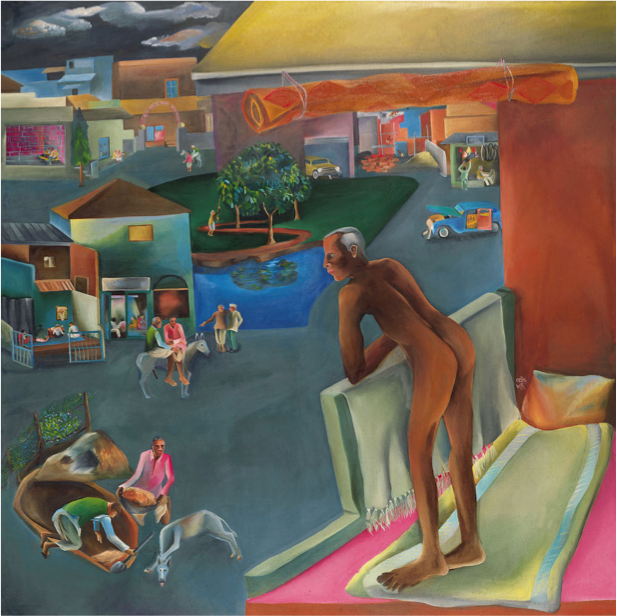 The subject matter of Khakhar´s art work is male homosociability and homoeroticism in the lived world of Indian common men. This extraneous universe is both trangressive of gender norms and devoid of female bodies. Colonial and post colonial imprints were also traceable in the paintings and biographical notes and citations peppered across the exhibition. One of them was a brief description of the loneliness Khakar saw and experienced in British public male spaces during the period when he lived in England. 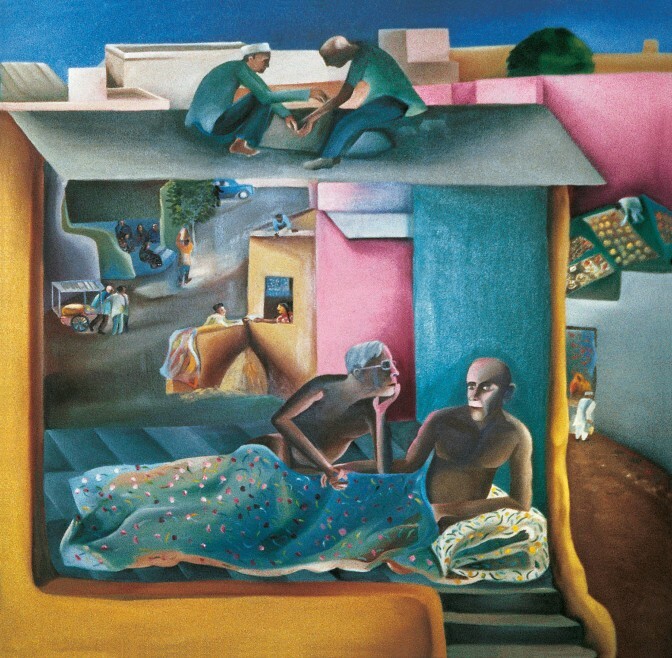 The revisiting of Article 377 of Penal Code case by the Indian Supreme Court emerged as good pretext to feature Khakhar´s art work in SPW July 2018 announcement. If nothing else, because colorful and sad landscapes he painted are evokative of desires and practices that are both pervasive and interdicted.